Scores dead as ferry sinks in Tigris River near Iraq’s Mosul – Royal Times of Nigeria. 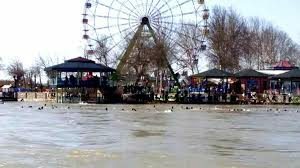 Scores of people have died after a ferry carrying families celebrating the Nowruz holiday capsized in the Tigris River near the Iraqi city of Mosul, according to officials. A spokesman for the interior ministry, Major General Saad Maan, said at least 71 people were killed in Thursday’s accident. Another 55 people, including 19 children, were rescued. 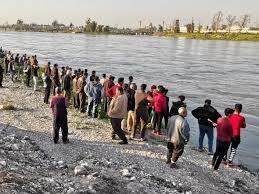 Most of the 100 passengers said to have been on board could not swim, the head of Mosul’s civil defence agency said. Prime Minister Adel Abdul Mahdi has ordered an investigation “to determine responsibilities”. In a statement Mr Mahdi said he was following the story “with pain and sadness”, and ordered “all state efforts” to find survivors and treat victims.